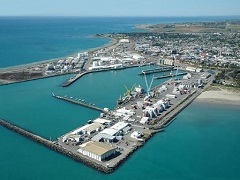 New Zealand ports total over 20 and are on both islands that make up this gorgeous country. While both small and large cruise ships visit New Zealand, the majority of the large ships can only dock in the largest ports, usually found in the largest cities. Auckland, Tauranga, Wellington and Lyttelton (Christchurch) are some such cities and offer many things to see and do around New Zealand and offer tours right from the ports of call. No New Zealand cruise would be complete without a visit to the lovely city of Auckland. Home to many activities like canyoning, caving, climbing, cycling, rappelling and canoeing, this city boasts tons of activities for the adventurous spirit, taking full advantage of the breathtaking landscape and water available. If you are far from adventurous or just want to relax, take in the Auckland Botanic Gardens, a Maori Culture tour or day tours to see one of the many volcanoes, the West Coast Wilderness tour or other tours that will take you for spectacular sightseeing opportunities. With so many varied things to do in Auckland, you are spoilt for choice! New Zealand ports can also whisk you away to many different New Zealand adventure tours albeit on smaller more intimate ships that will allow you to get up close to the beautiful scenery and snorkel in the pristine ocean waters. When cruising into Wellington, you can visit the Te Papa New Zealand museum, with free admission and tons of exhibits to look at that trace the rich history of the region. Wellington also has a zoo, an observatory and many natural tours and guides so you can take in the beauty of the area. For the more adventurous, the Adrenaline Forest offers an acrobatic turn through increasingly difficult obstacle courses, all while suspended in the forest itself. Cruises around New Zealand will stop at lots of different ports so you can take in the diversity and cultures that are in abundance in this two island country. New Zealand ports are full of information and easy access to the major towns or cities that they service, and with so many friendly locals, cruising to the region is sure to be a delightful experience. Whether you prefer cruising on a mega-liner, a medium sized ship or an intimate smaller vessel, the New Zealand ports of call will offer you a chance to take in all that makes New Zealand special, one culture at a time.